The illuminated light bar lasts for 10 years. However, some customers order a spare bar for future use. This replacement light bar kit includes instructions. There is no photo available for the light bar. However, the image shows the light bar placement. Includes new light bar, glue, blue brush, wire connectors and instructions. This bar is used in the following product. It is not intended for use in other products. 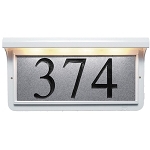 Q: Does the light require electricity to be ran to the mailbox? 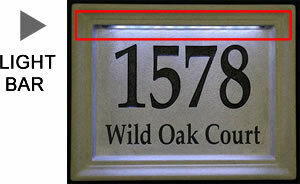 A: This bar is used for existing Illuminated Concrete address blocks only.